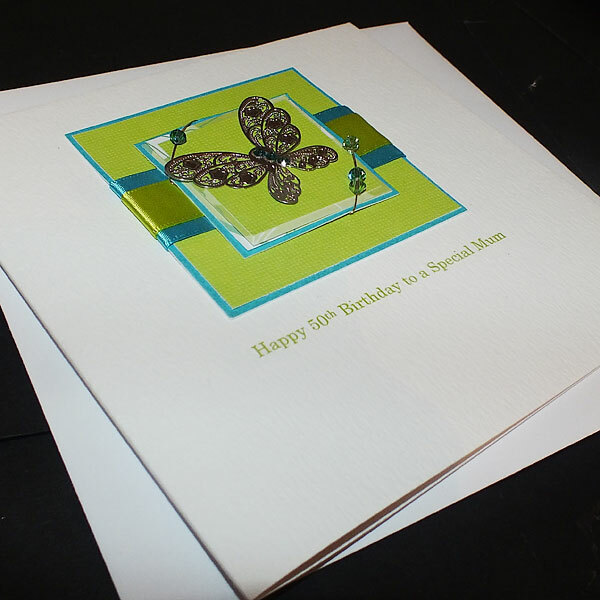 Handmade Birthday Card for Mum, Sister, Daughter etc "Teal & Lime"
A pretty card design with a lovely silver metal stencil butterfly decorated with Swarovski diamontes. 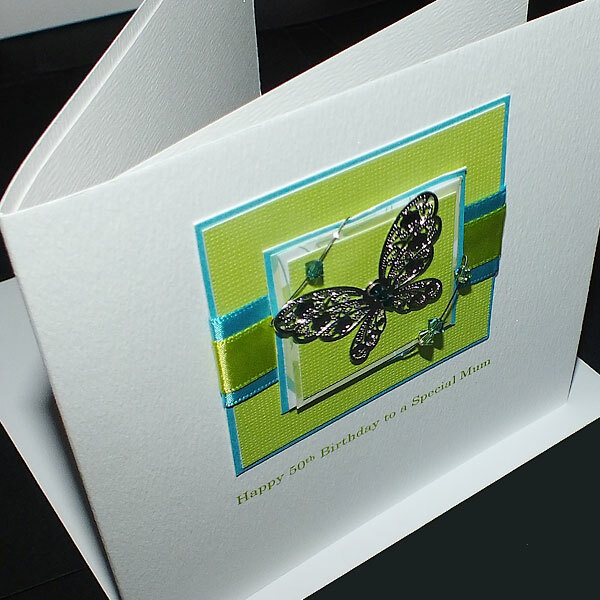 The butterfly is mounted on patterned and sparkly card and a satin and chiffon ribbons. The card can be personalised for other special birthdays such as 18th, 30th, 40th, 50th, 100th for a special mum, aunt, sister or gran. 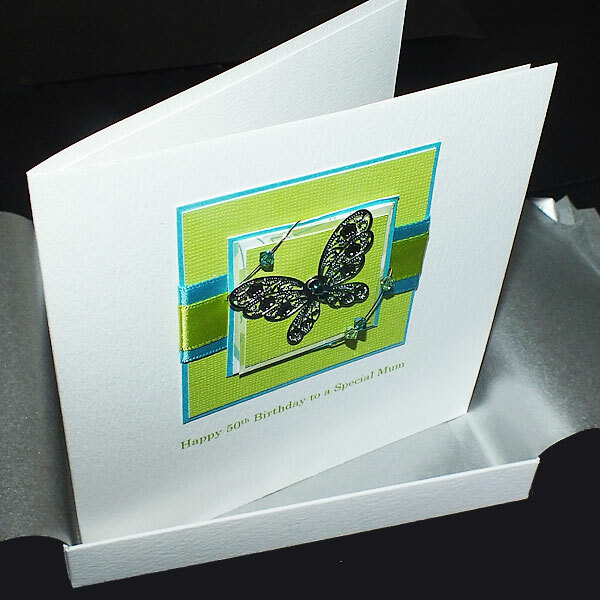 The design is created on heavy textured white card and supplied with a matching blank textured insert. 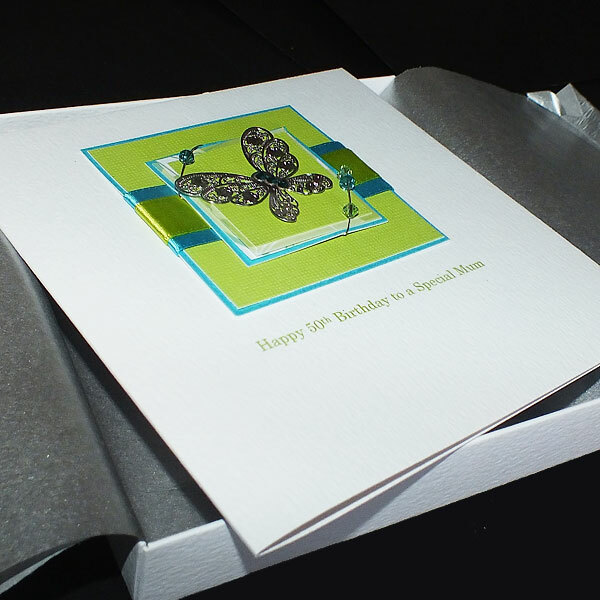 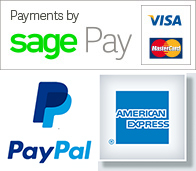 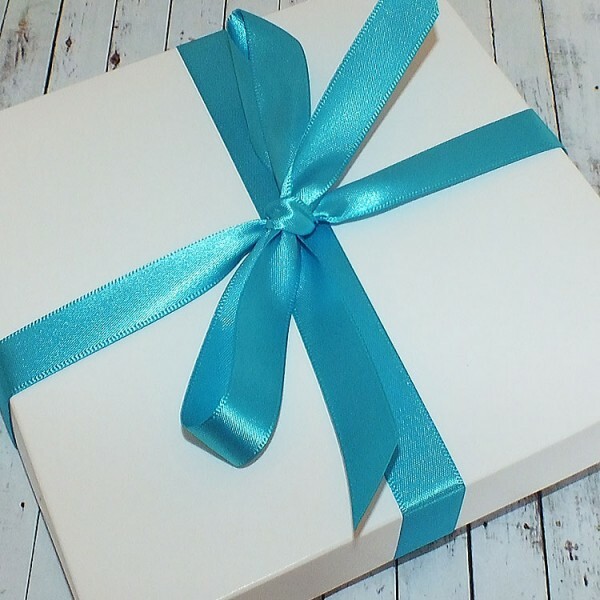 The insert can be printed if you prefer -simply enter your message in the box when you place your order.